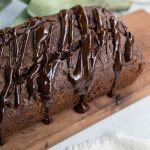 This Chocolate Banana Bread is gluten free and refined sugar free, made with Bob’s Red Mill almond flour and buckwheat flour. 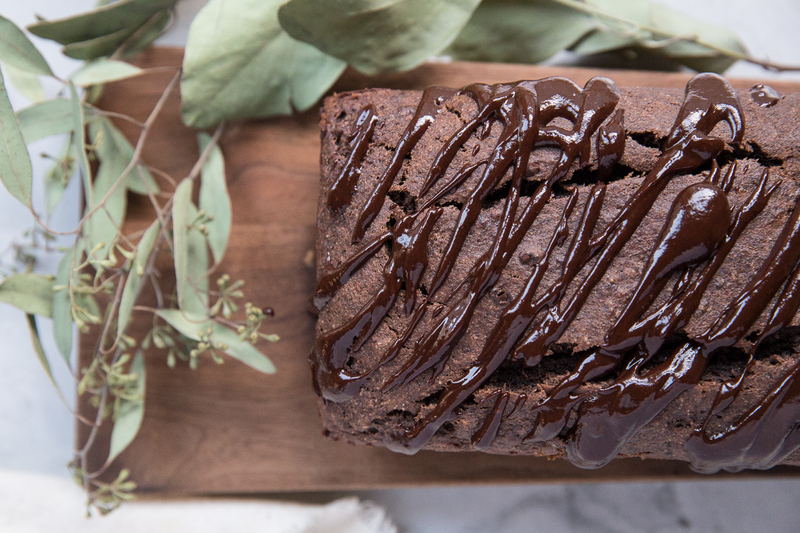 It’s the perfect guilt free treat for after the holidays! This post is sponsored by Bob’s Red Mill but all opinions are my own. I made this recipe first for a camping trip with a group of friends over the summer, then as winter hit and so did all the sugar cravings, I made it again. Its always nice to have a treat around that you can eat and share with others that might have dietary restraints. 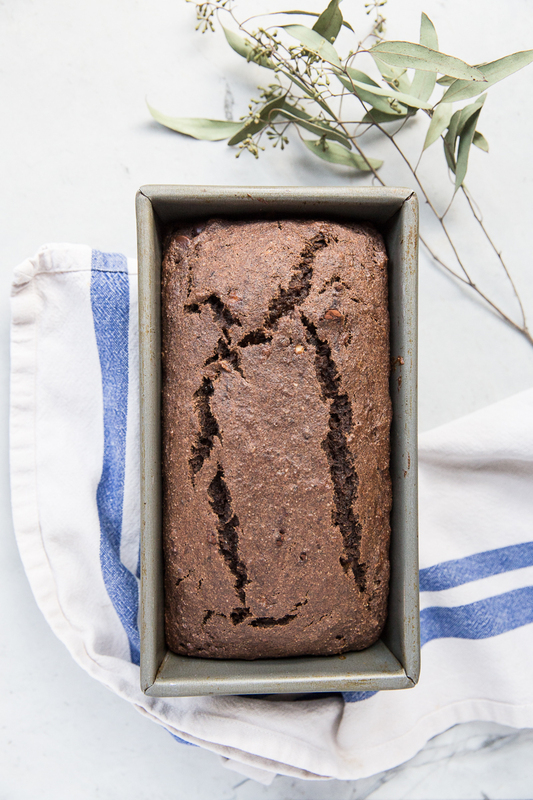 • This recipe uses a combo of buckwheat flour and almond flour for a totally gluten free bread. 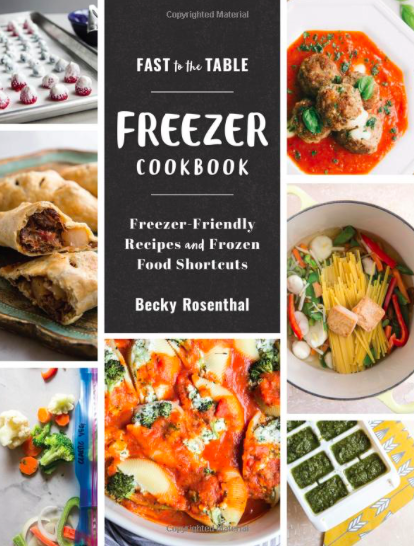 • This recipe is technically not paleo because of the buckwheat. Though buckwheat is not technically a grain and is gluten free, the paleo diet doesn’t include it on the list of paleo ingredients. Some people use sprouted buckwheat in the paleo diet. 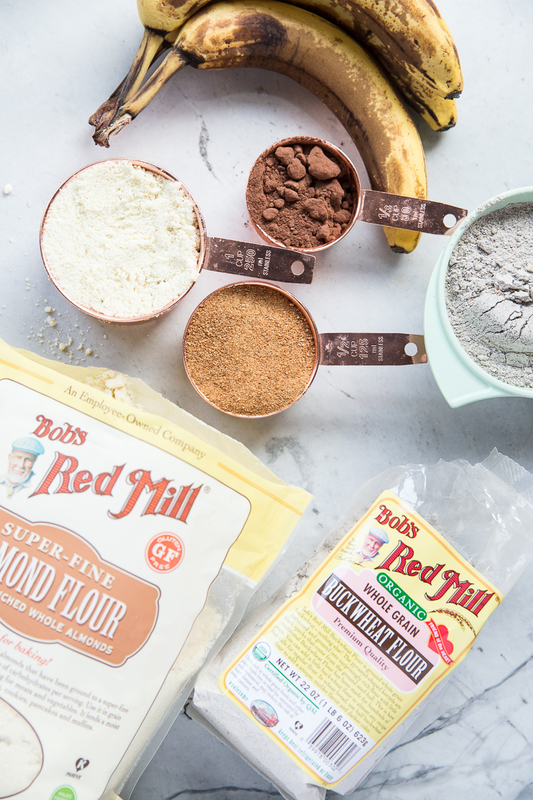 • I’ve used both 2 bananas or 3 when making this recipe. When I use 3 the center tends to be a little mushy so if you like a more gooey treat go for 3 bananas. • I use coconut sugar to sweeten the loaf but you can also use brown sugar. •You can also use oat flour as a substitution for the buckwheat flour. 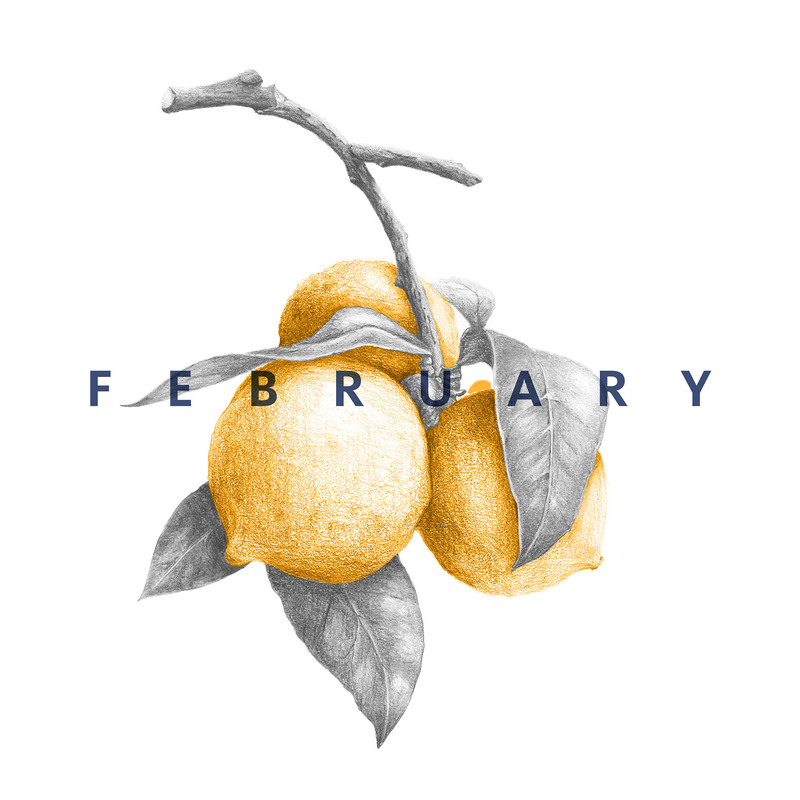 • For the oil, avocado, coconut oil or rapeseed oil may be used. Organic canola oil is also a fine substitute. • You may use coconut cream or full fat coconut milk for the ganache. 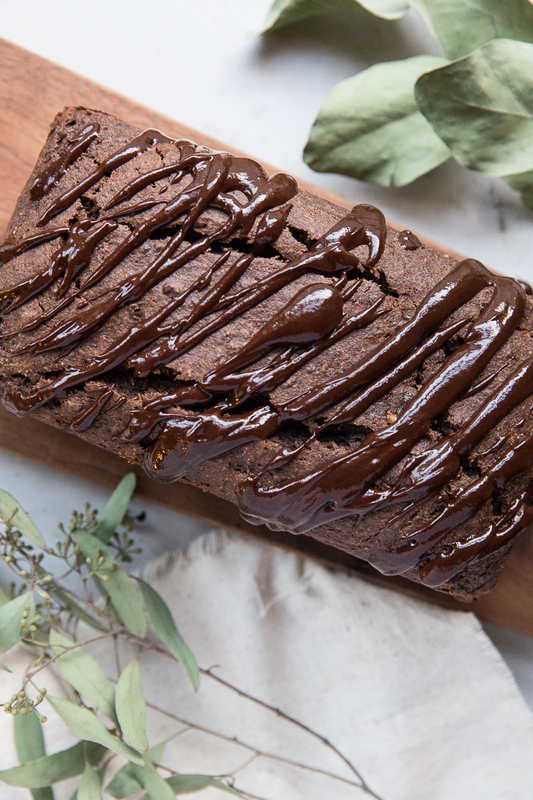 This Chocolate Banana Bread is the perfect healthy treat for post holiday sweet cravings! 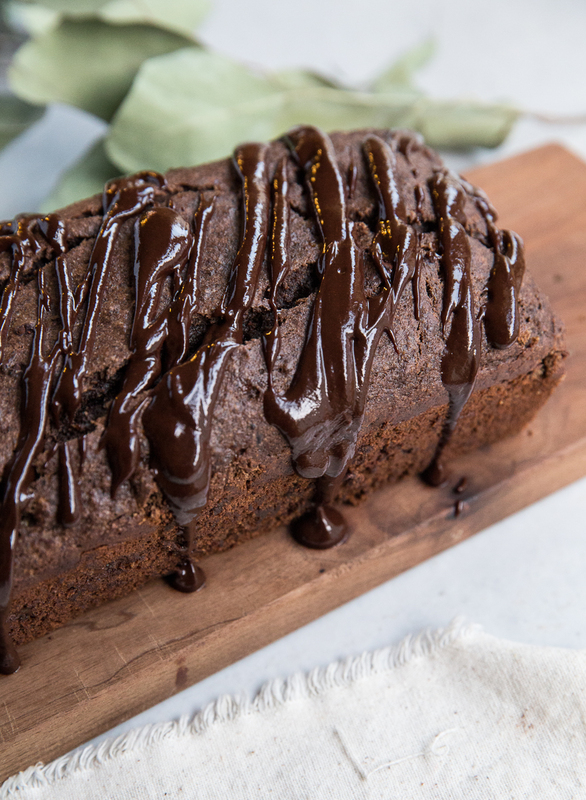 This is a delicious guilt-free and gluten free Chocolate Banana Bread recipe. Preheat the oven to 350 and grease a regular sized loaf pan. In a medium bowl use a fork to whisk the eggs. Add in the coconut sugar. Add bananas and mash well using the fork. Add in oil. Add in all of the dry ingredients and mix just until combined. Spoon out 2/3 of the batter into the prepared loaf pan. Sprinkle with the chocolate chips then top with the remaining batter. Bake for 40-45 minutes or until a toothpick comes out mostly clean (there will be melted chocolate in the center from the chocolate chips. As the loaf cools, make the ganache. In a small sauce pan over low heat, melt the chocolate with the coconut cream. Stir continuously as it melts. Pour this thick warm ganache over the loaf. You may use coconut milk instead of the cream. I truly, truly enjoy your works very much !